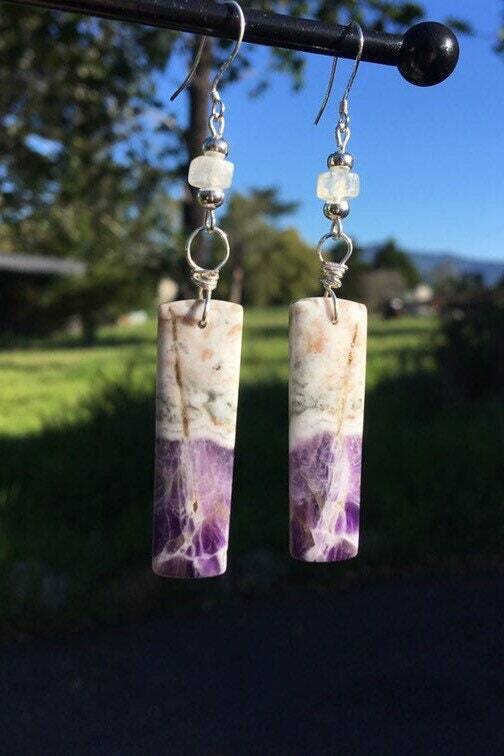 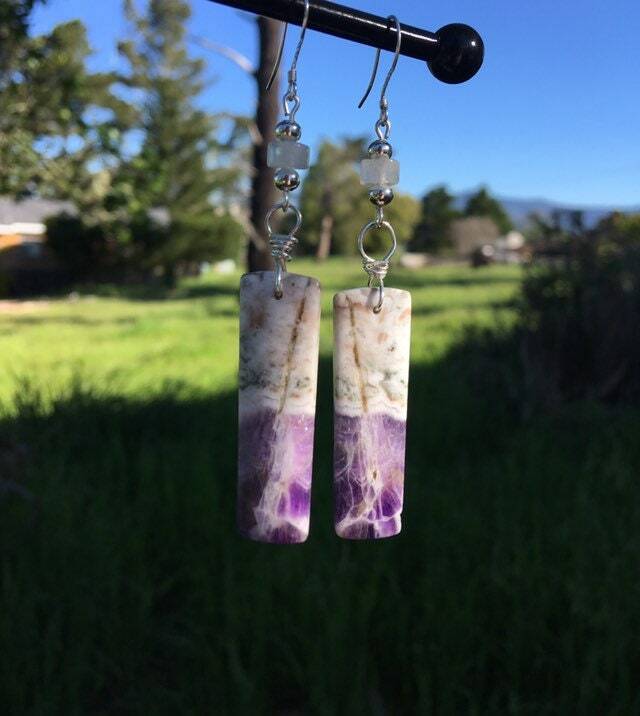 These beautiful and unique chevron amethyst earrings are a fantastic dark purple with whispy white swirls and opaque white background. 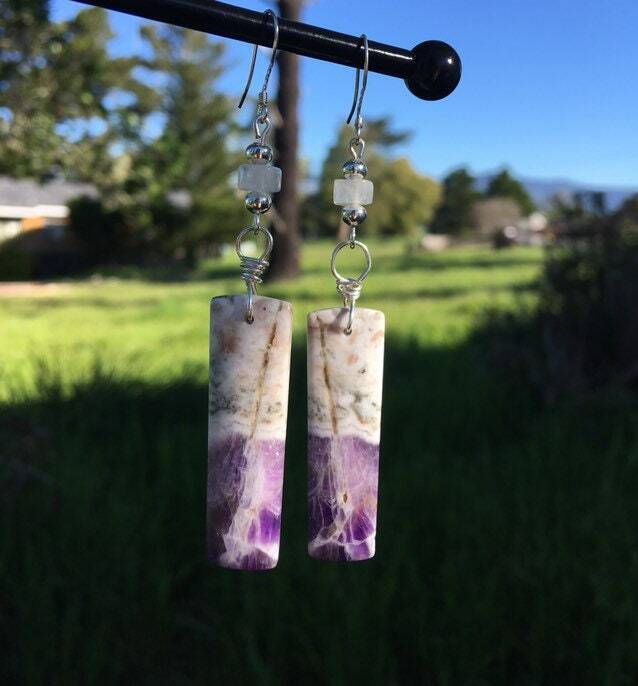 They are paired with sweet little moonstone beads. 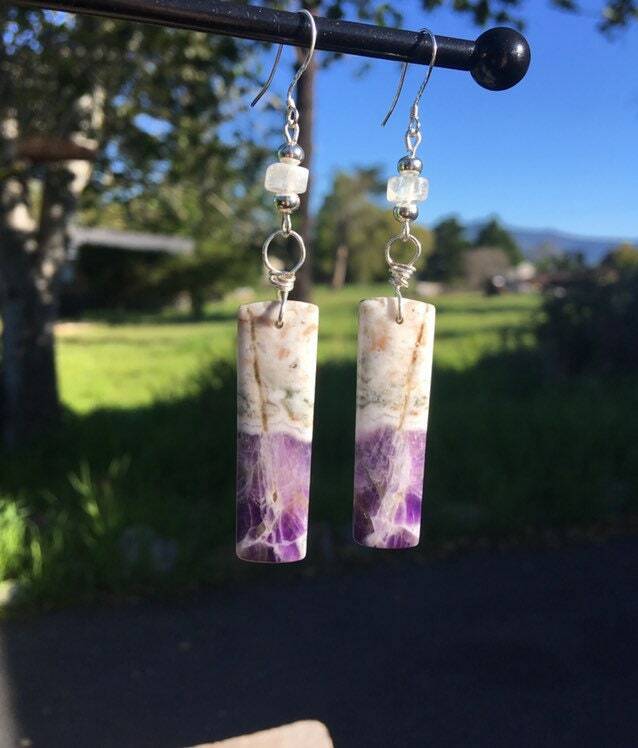 These are 2 3/4” long.